The Italian Serafino Consoli started its business as a jeweller back in 1960. More than 40 years later, Serafino Consoli first started focussing on making their own unique and innovative jewellery in 2005. Ten years later, Serafino Consoli launched their 'Brevetto' ring. This is the first 'multisize' ring in the world! This ring is easily adjustable and can be made bigger or smaller with ease. Besides the 'Brevetto', Serafino Consoli also has the 'Ringcelet' in its range. This ring is not only adjustable to be a bigger or smaller ring. This ring can even be adjusted to be worn as a bracelet. 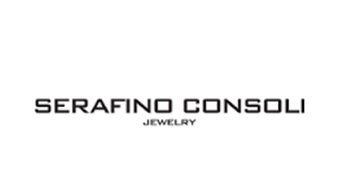 Furthermore, Serafino Consoli also offers earrings and necklaces made with the same principle. As a result, jewellery made by Serafino Consoli is never just one piece of jewellery.